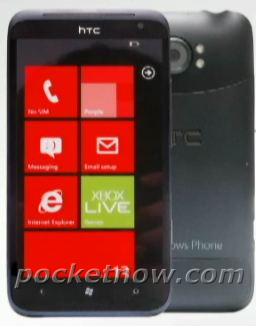 The crew at PocketNow have scored leaked photos of the upcoming HTC Radiant, an LTE Windows Phone coming to AT&T. With style attributes similar to the HTC Titan, the Radiant will offer a number of improvements. It’s expected that HTC will include a front-facing camera, support for LTE and the dual-led flash on the back has shifted positions. In a surprising move, the Radiant is said to have a non-removable battery, thanks in part to the unibody construction. No word on a release date for the HTC Radiant, nor do we have specifications It’s expected that HTC will use CES to announce this phone, where we also expect to see the Samsung Mendel (codename) and the Nokia 900 Ace.